What is already smart about a hotel room? A hotel room represents many things. For some it is the escape from everyday life, because they are on vacation. Others see it as a necessity because they are often on business trips. However, staying in a hotel room should be pleasant for the guest for two reasons. The place where we sleep is for most people a private place of retreat. If we do not feel comfortable and well, this will influence our sleep and therefore our health. Especially if the rooms are rather impersonal and sterile, it can easily bring you down. For hotel owners, the well-being of the guests is very important, because otherwise they will not recommend the hotel or they will not book there again. An unloving establishment can therefore cause economic damage. So it would be smart to have the right arrangement in a hotel room. Is a smart hotel indeed smart? Increasingly many households are being linked to voice control systems. Ever since Amazon advertised its Echo Dots extensively at Christmas, one can see the black tubes in more and more households, talking to their owners. 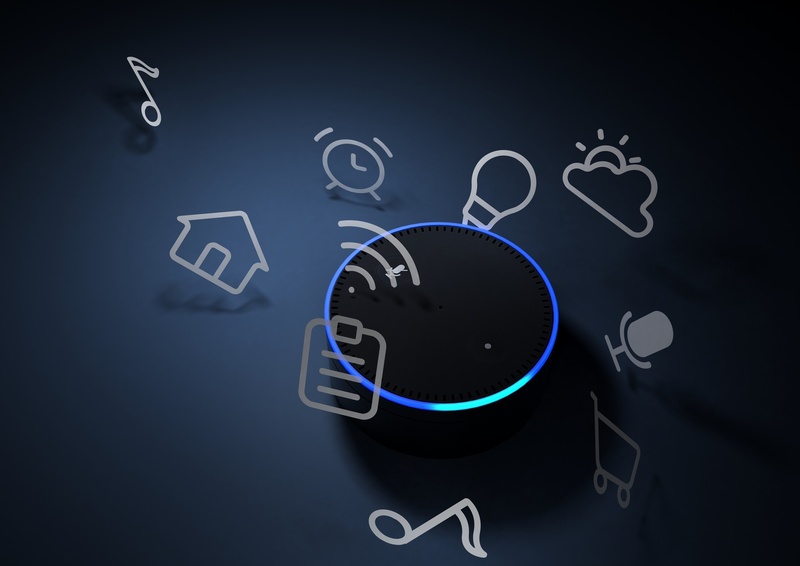 For the Echoes to work with Alexa’s speech recognition software, they must be in the building and connected to their electrical system. After all, Alexa should not only talk, but also be able to execute commands. Which one exactly? Well, you can tell her to pull the curtains up or down. Alexa can control and manage the temperature in the room. She can turns on the lights or play music, for example via Spotify. All of this is controllable via the speech recognition software - with the keyword "Alexa" - and then just say what you would like Alexa to do. What sounds like a luxury item is becoming, just like the ORF post last week has announced, increasingly used. Especially by retirees or people who are restricted in their movement, they enjoy and benefit from a smart home! Smart Home technology in the hotel? Something that sounds like a luxury at first - why shouldn't it be a luxury? Especially for business people and consultants who travel a lot and are always in hotels, who spend up to 12 hours a day working. One would likely enjoy every bit of luxury they get. 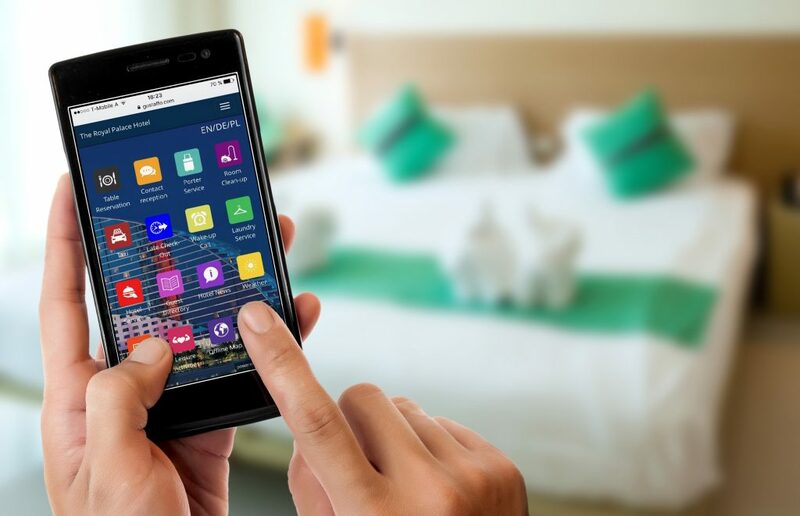 Similar to Smart Homes, elderly people and people with restricted mobility can benefit the most from the new technologies in smart hotels. But not only for them, for young people the voice-controlled artificial intelligence topic is an exciting and fascinating one. intelligence is exciting and fascinating. It almost feels as if the hotel room represents a view of the future. What will our life look like in a few years? In many hotels, as well as households, the smart operating systems already exist. A smart hotel will revolutionise the feeling in the room and will provide more services. As a hotel owner you can always inform your guests about the latest developments - of course customised for everyone's needs. Did your guests express their interest in different areas, for example the opera? Send them a push notification on the Smart TV and inform them about the latest program. This will help you become a Digital Concierge Service! Digitalisation as a better service! The term digitalisation is characterised as highly negative, especially in the media. Smart hotels, however, provide a meaningful work, because they offer the guests a welcoming and pleasant feeling. The guests can use this service only when they need it. And also, a digital assistant doesn’t take to much space and doesn’t make the workplace overcrowded. It is a small luxury and a peek into the future, in which we will soon live.